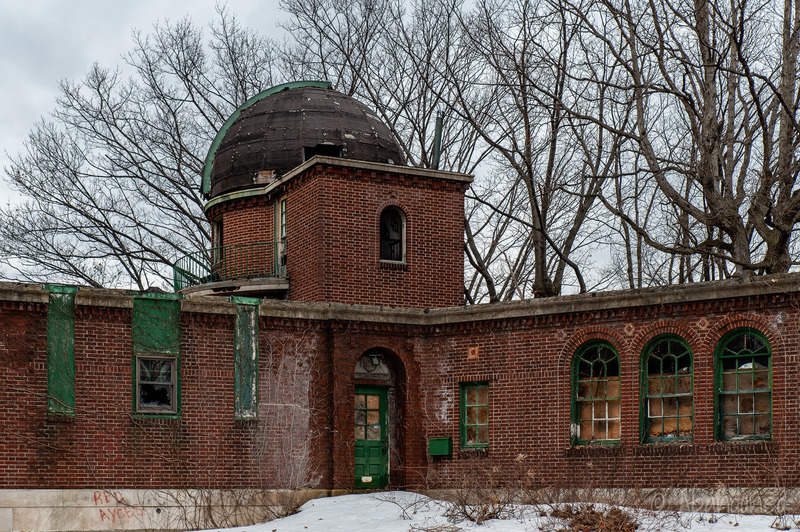 The new observatory was dedicated at 2:30 p.m. on October 12, 1920. 8 Dr W.W. Campbell, one of the most noted astronomers of the world and director of the Lick Observatory, gave the opening address. 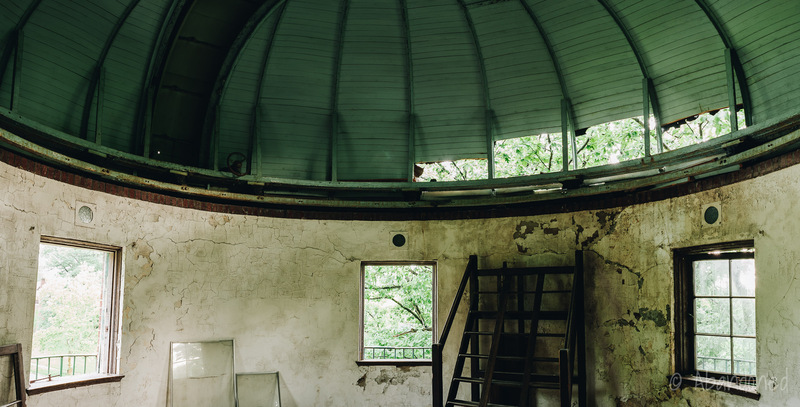 In 1978, the Astronomy Department at Case Western Reserve University made a deal with the Association of Universities for Research in Astronomy to build a new observatory at Kitt Peak National Observatory in Arizona. 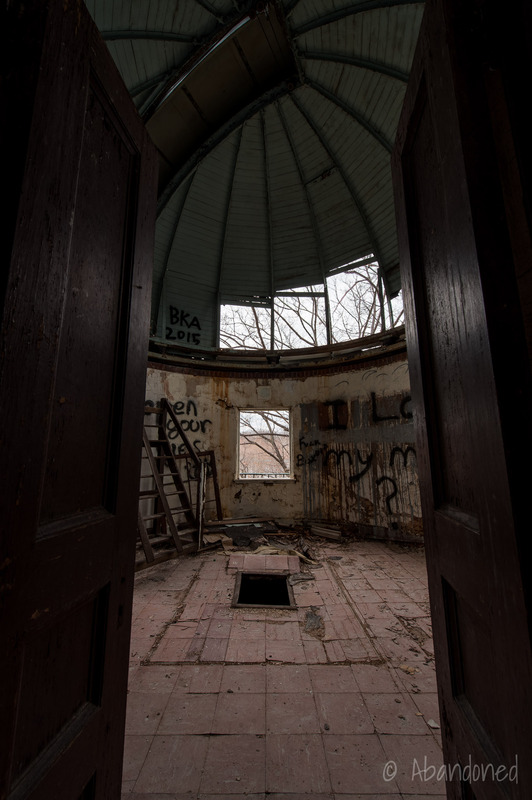 2 The Burrell Schmidt telescope was moved from the Geauga County observatory was relocated in May 1979, 12 and the 36-inch reflector from the East Cleveland facility was moved to Nassau in 1980. Johannesen, Eric. 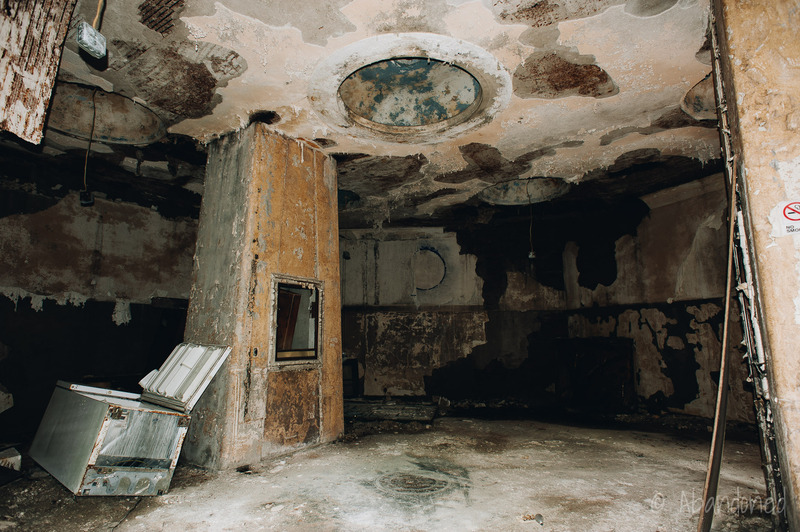 “Institutional Planning.” A Cleveland Legacy: The Architecture of Walker and Weeks. Kent: Kent State University Press, 1998. 87-88. Print. Claspy, William. 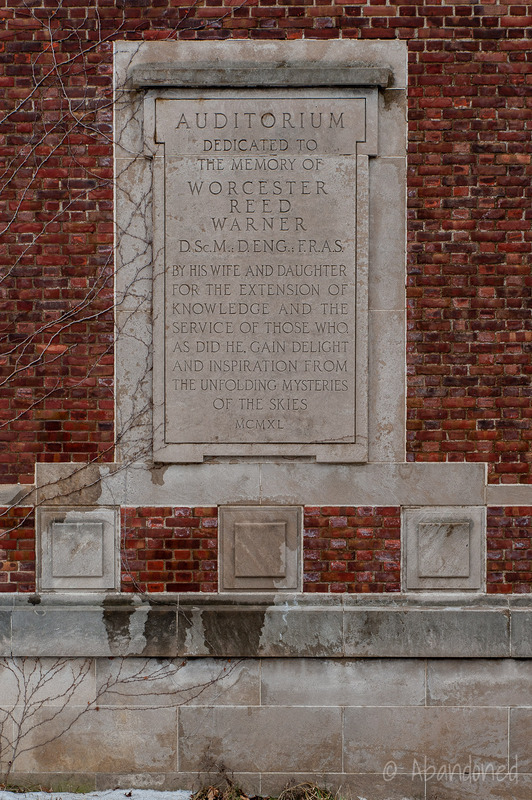 “History of the Warner and Swasey Observatory.” Warner and Swasey Observatory. Case Western Reserve University, 2006. Web. 24 Mar. 2015. Article. Elek, Tim, Matt Neff and Tony Solary. 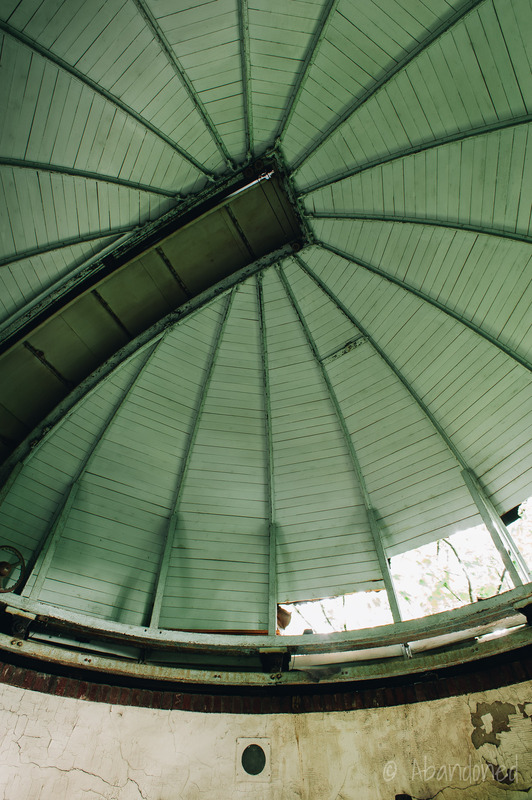 “The History….” The Warner & Swasey Observatory Restoration project, n.d.. Web. 24 Mar. 2015. Article. O’Malley, Michael. 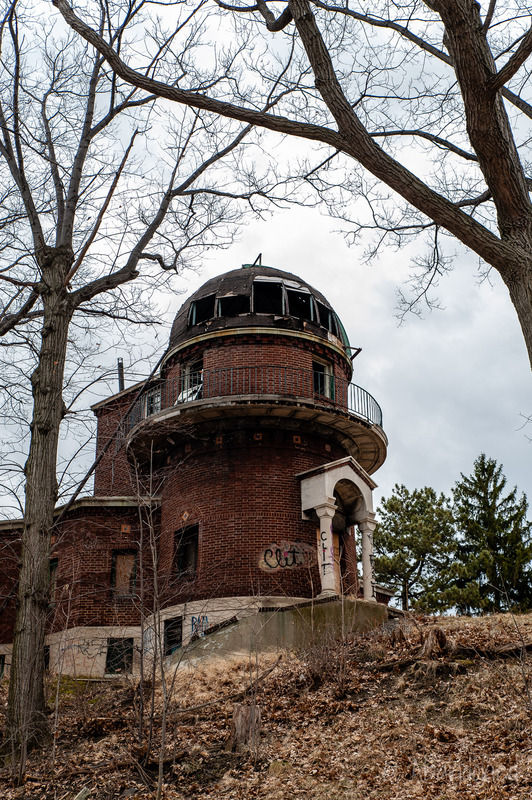 “Family’s New Focus: Turning Old Observatory Into Home.” Cleveland Plain Dealer 7 Sept. 2005: n.p. Print. O’Malley, Michael. 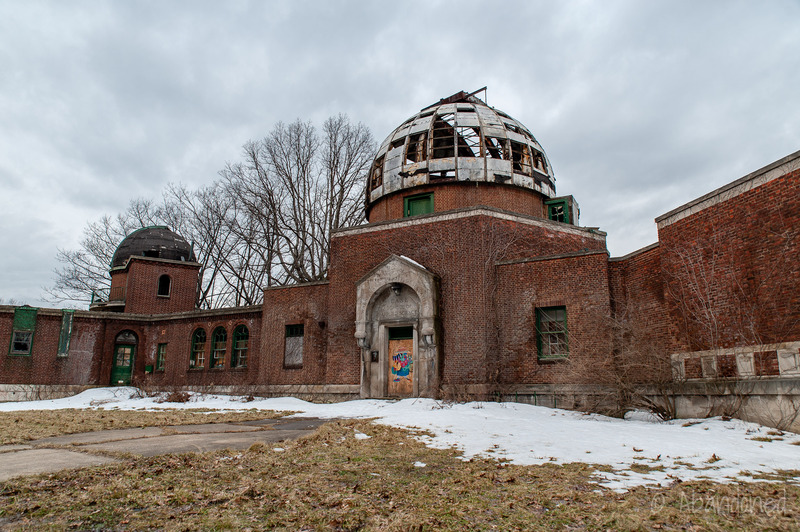 “Nayyir Al Mahdi’s dream of turning observatory into home ended with indictment.” Cleveland Plain Dealer 28 Jan. 2008: n.p. Print. Nassau, J. J. 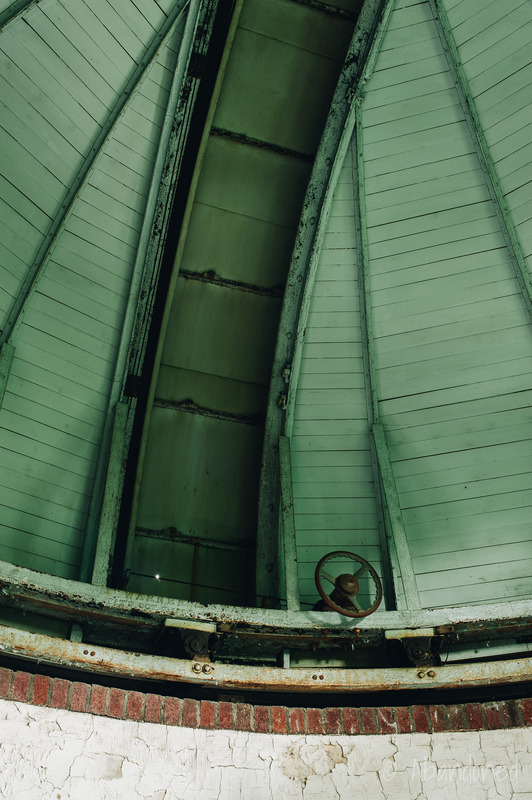 “The Burrell telescope of the Warner and Swasey Observatory.” Astrophysical Journal 10.101 (1945): 275-79. Print. Widman, Richard C. “The Sky’s the limit here for astronomy buffs.” Cleveland Plain Dealer 26 Sept. 1980: 16. Print. “Case to Dedicate New Observatory.” Cleveland Plain Dealer 11 Oct. 1920: 10. Print. “Finish New Building for Case Observatory.” Cleveland Plain Dealer 20 Oct. 1940: 4. Print. Wager, Richard. “Window shopping in the heavens.” Cleveland Plain Dealer 14 Aug. 1983: 17D-21D. Print. Strang, Jim. “CWRU telescope being moved to Arizona site.” Cleveland Plain Dealer 16 May 1979: 28A. Print. 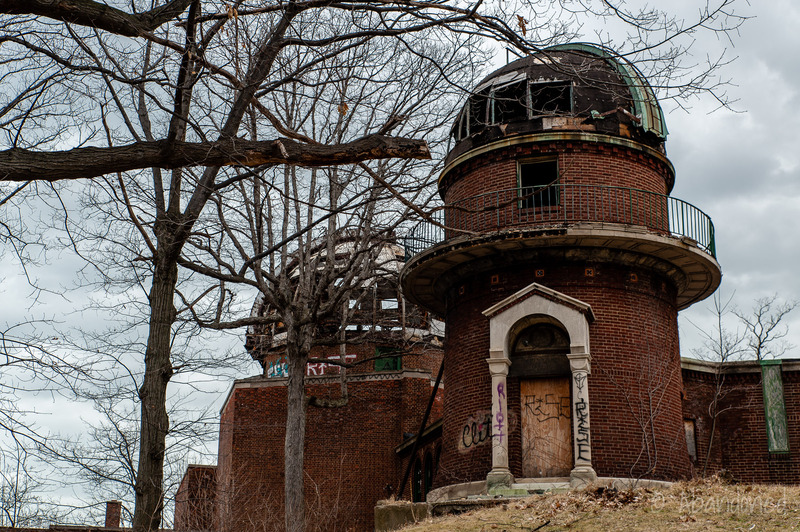 Jordan, George E. “Now old observatory deals in TV stars.” Cleveland Plain Dealer 21 Oct. 1984: 26A. Print. O’Malley, Michael. 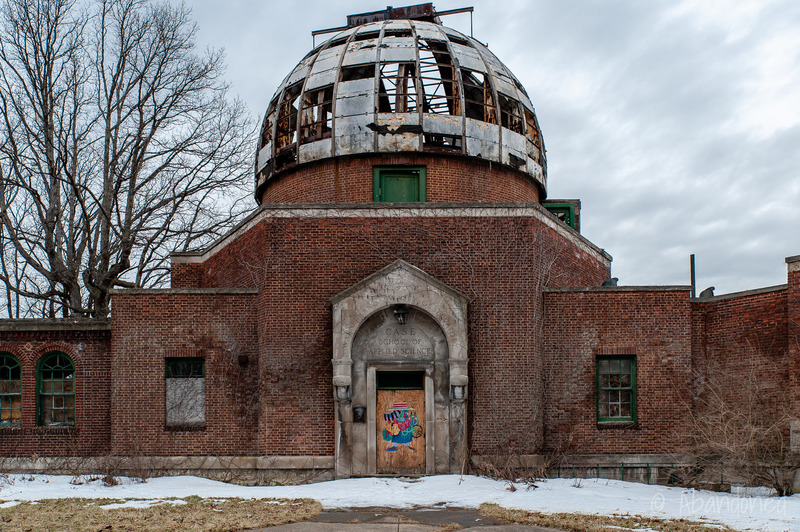 “Trio taking the long view in bid to save observatory.” Cleveland Plain Dealer 27 Mar. 2005: A1. Print. O’Malley, Michael. 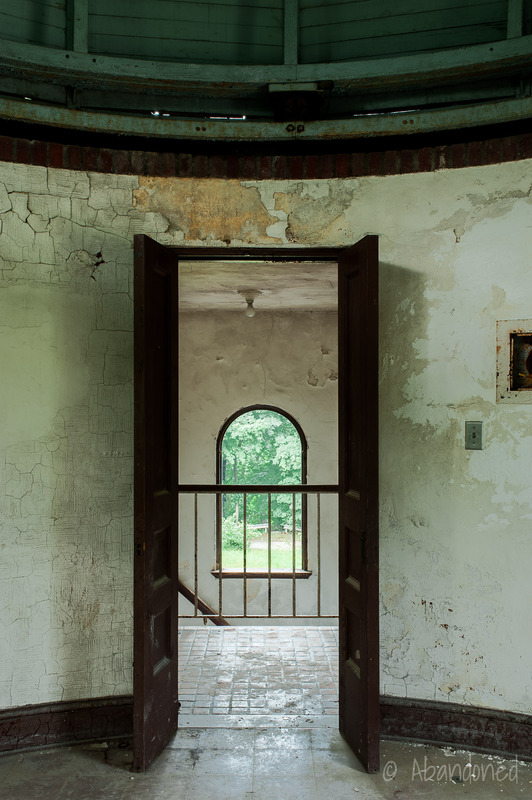 “Family?s new focus: Turning historic observatory into home.” Cleveland Plain Dealer 7 Sept. 2005 B1. Print. The Warner & Swasey Company, 1880-1930. Cleveland: Warner & Swasey Company, 1930. Print. 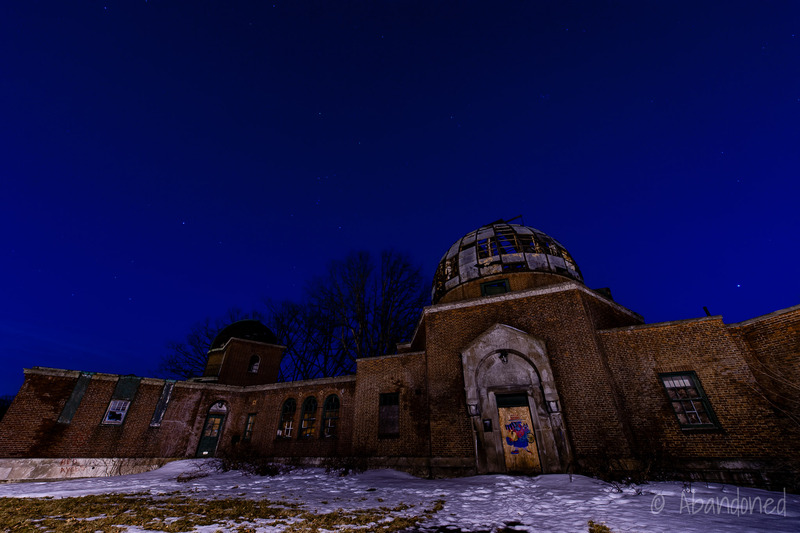 I remember being there for one of those public nights when I was in Charles Mahlman’s astronomy class at Cleveland Heights High School in the 1977-78 school year. Very sad to see it now on this site. 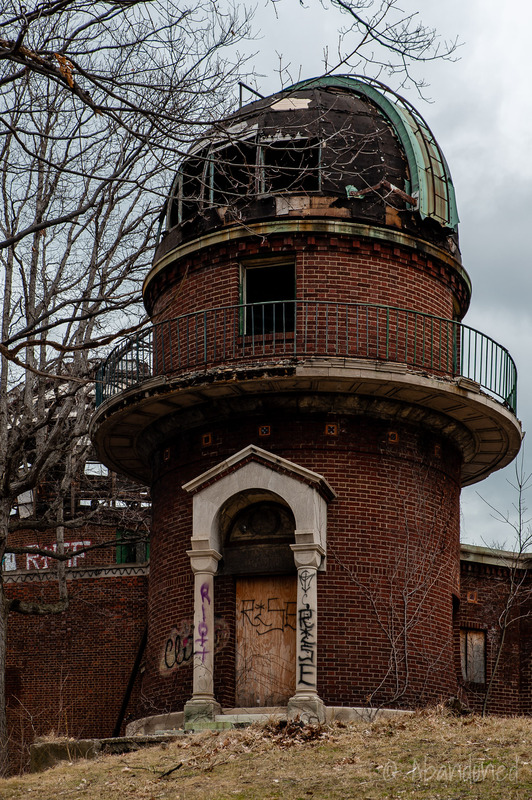 I remember the Warner & Swasey Observatory being a fixture on Taylor Road hill. For many years from the early 1950’s into the 1960’s we drove by it to get to my parents home in South Euclid. 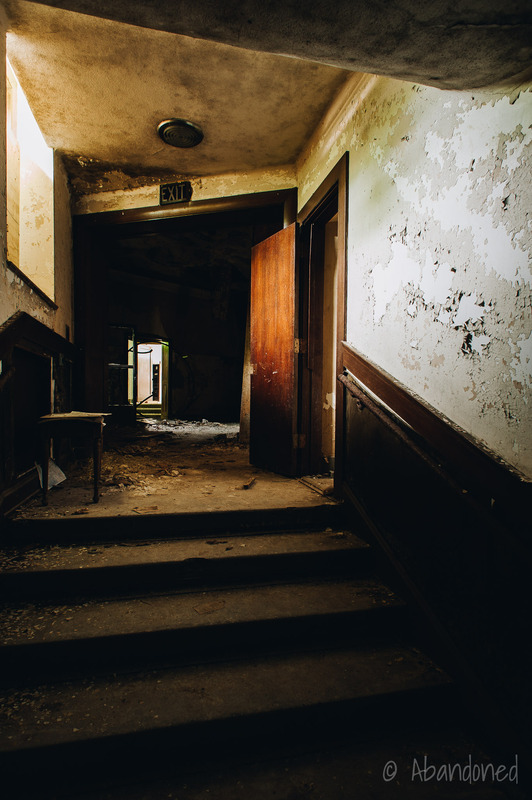 Sad to see it abandoned and in the condition it is. Thank you for posting these pictures. 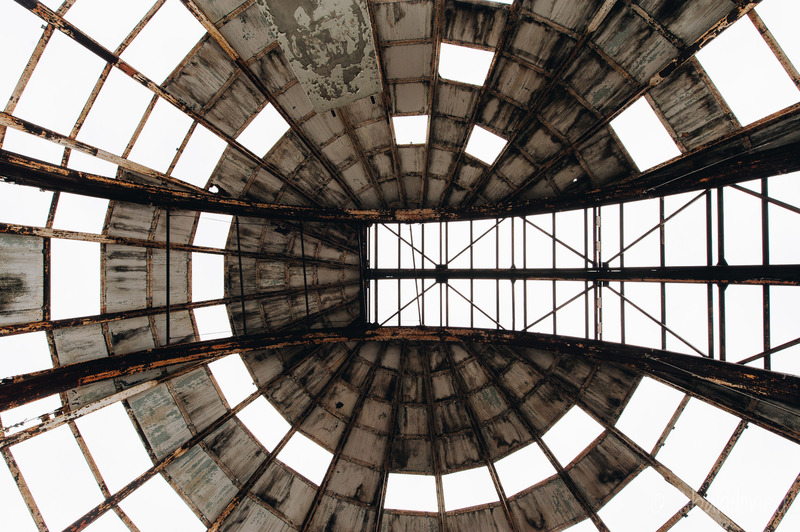 Thanks for such a thorough history of the post-1980 fate of this landmark. 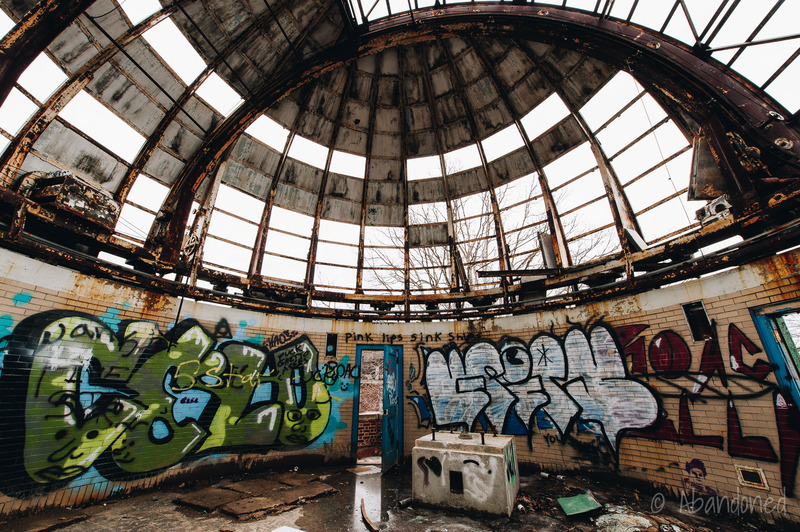 I was just there, and being alone and in my 60s, stopped short of trying to get up into the dome. 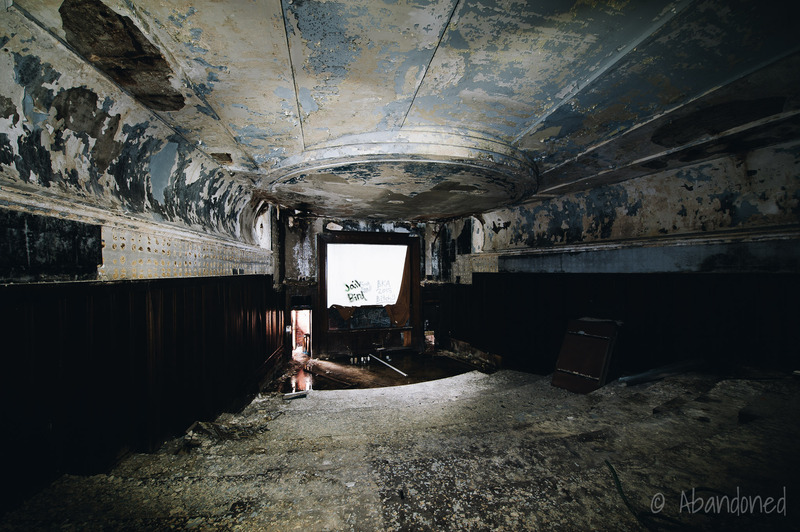 Which room is depicted in the last photo (lower right)? So sad. It is a metaphor for everything that has happened to Cleveland.